Twitter has announced that they’re making some interesting changes to their character count. This is great news for social media marketers! Before you start thinking about the extra-long tweets you’ll be broadcasting, it’s important to note that the character count will stay the same – it’s what you can do within the 140 characters that’s changing. Although an official date for the changes is yet to be released, it’s rumoured that it will be sometime in the near future. Why does Twitter have a character limit? Firstly, let’s do a little history lesson. When Twitter made its social media debut in 2006, smartphones didn’t exist. This is why the character count was set to 140 characters – so you could fit a tweet into a standard SMS message. Twitter’s character limit also sets it apart from other social media platforms. Tweets are short and concise, making the platform an ideal place to talk about live events. So, which features are (allegedly) changing? It’s been reported that Twitter will stop counting usernames and media as characters. This is excellent news. Currently, an image takes up 24 characters, and links are automatically shortened to 23 characters. So, if you include both of these, you’re already down to a mere 95 characters. Expressing your views in such limited space can be a real struggle! Plus, displaying visual content is becoming more and more important. 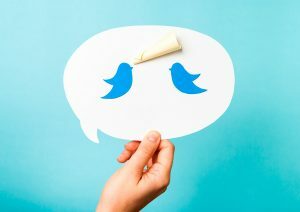 It’s increasingly common on social media posts, and in 2014, Twitter investigated whether media tweets encouraged user engagements. The short answer is yes – read more here. • Compelling Content – Media won’t be taking up precious characters, so you’ll have more space to write the interesting stuff. Plus, you won’t have to choose between text and media – you should have plenty of room for both. 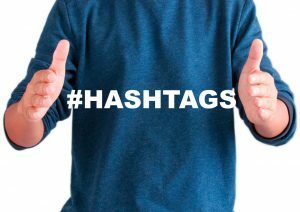 • Helpful Hashtags – More characters means more hashtags. As we all know, these are crucial to a tweet, with popular hashtags encouraging user engagement. • Easier Engagement – Usernames “@name” will not be included in the character count (only when you’re writing a reply). This will make it easier to engage with your audience, as the conversation will be more fluid. You can also talk to multiple Tweeters at the same time, quickly and easily. • Nice for Newbies – A higher character limit (in theory) makes Twitter more accessible for new users and companies. They’ll be under less pressure to fit their news into a tight word count. So there you have it – Twitter’s tweets will still be short and sweet, but will give us more space to market our brands effectively. Are you looking forward to the change?